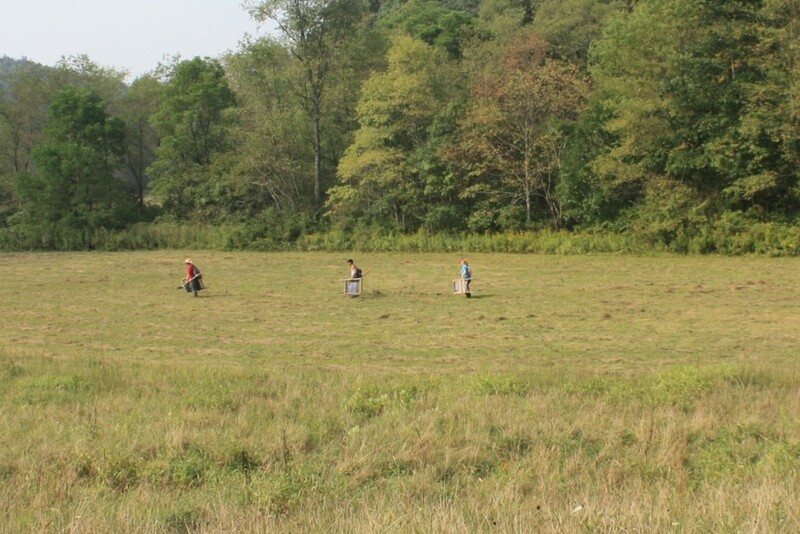 In the previous blog post about PHAST (PennDOT Highway Archaeological Survey Team), I left you with news of an upcoming Ground Penetrating Radar (GPR) survey in Clarion County, a small urban archaeology project in Pittsburgh, and additional excavation projects in both eastern and western Pennsylvania. 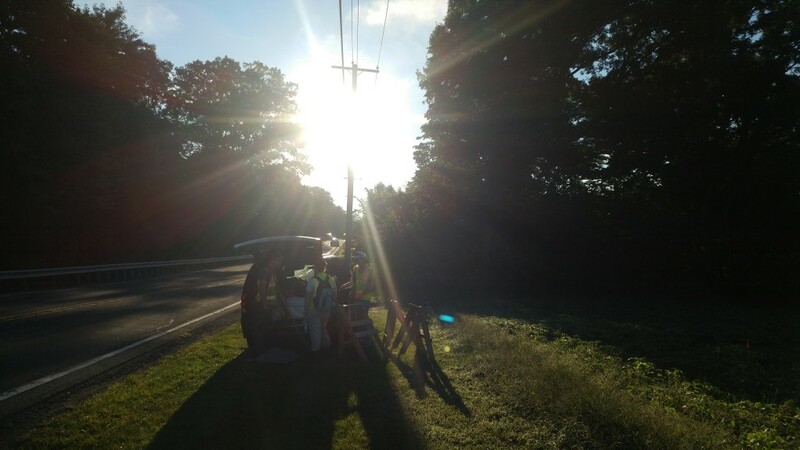 Aside from wrapping up a loose end in Clarion County, another season of field work has come to an end, which means lab work, extensive report writing, and a new semester are about to begin. 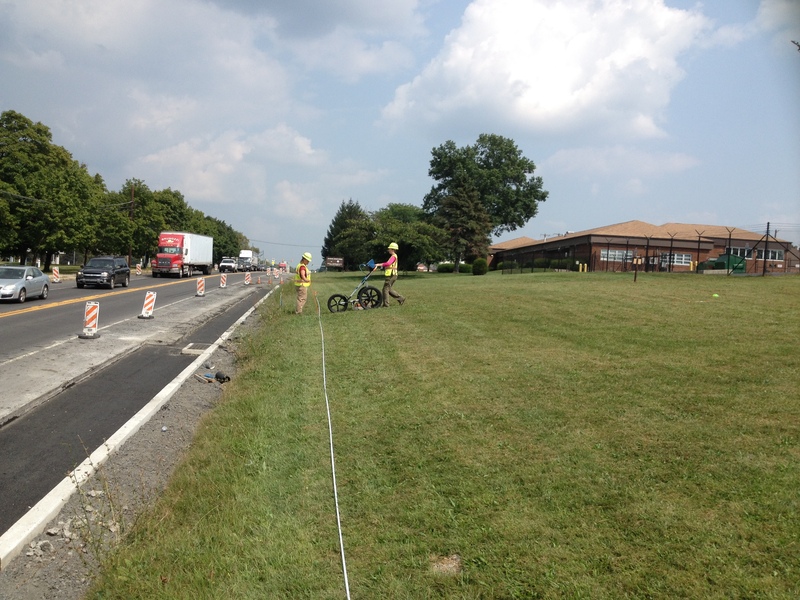 Our second GPR survey of the summer was very interesting. More common shovel test pit and test unit excavation was not used in this early stage because we already know that a furnace complex and worker housing once stood in the vicinity. 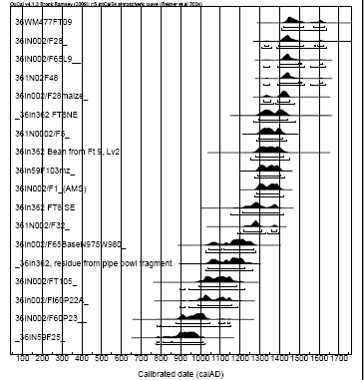 A GPR survey enables a more complete view of any possible intact structures while using non-invasive techniques. It will be exciting to see how the survey data, historic maps, and the current landscape come together. Yeah, all of those bricks came out of an excavation unit, but look at those smiles. The excavation of three test units in Pittsburgh revealed a rubble and garbage-filled basement, foundation remnants, and also a buried but intact prehistoric occupation. 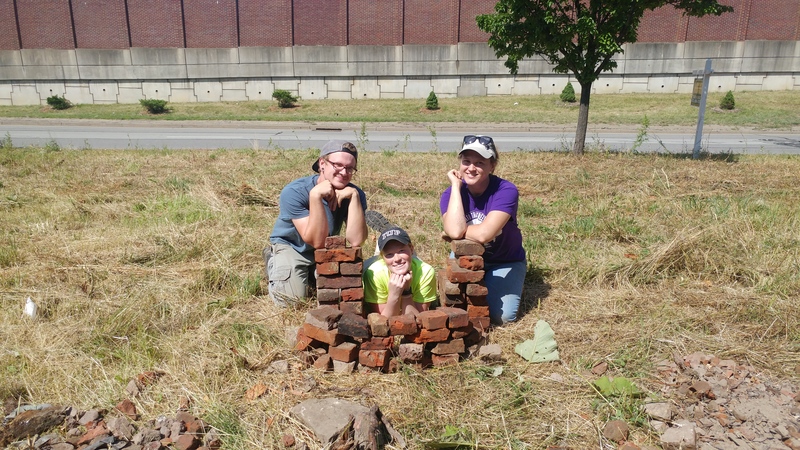 Bricks were the most common artifact, but others include vessel glass, annular whiteware, nails, and the body of a small porcelain figurine often referred to as a “frozen Charlotte.” Despite the direct sun and deep excavation, my crew made the best of the situation. 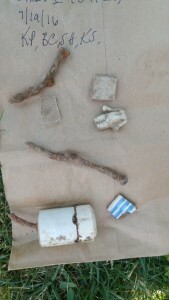 Artifacts from the Pittsburgh project. The ‘frozen Charlotte’ torso is in the center. Another very unique project from this summer took PHAST to Old Economy Village, a state-owned property in Ambridge. Our job was to locate vineyard postholes from the 1950s/1960s in areas where posts no longer stand. This is part of a larger effort by the Pennsylvania Historical and Museum Commission (PHMC) to reconstruct the vineyard and preserve the property as a piece of our state’s heritage. Check out the Old Economy Village website to learn more about the Harmonist society that founded Old Economy Village and to plan your own visit. The final project of the year took us to Luzerne County just last week. PHAST completed shovel test pits in multiple soybean fields in preparation for storm water management basins. 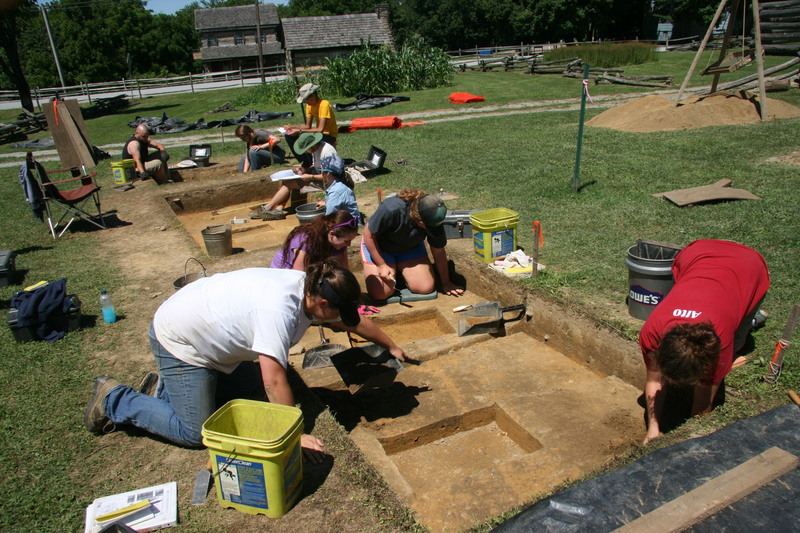 PHAST archaeologists working with their PennDOT mentor, Joe Baker, at Old Economy Village. Even though all 2016 fieldwork is now over, the project list for next summer’s crew will come together in early 2017. 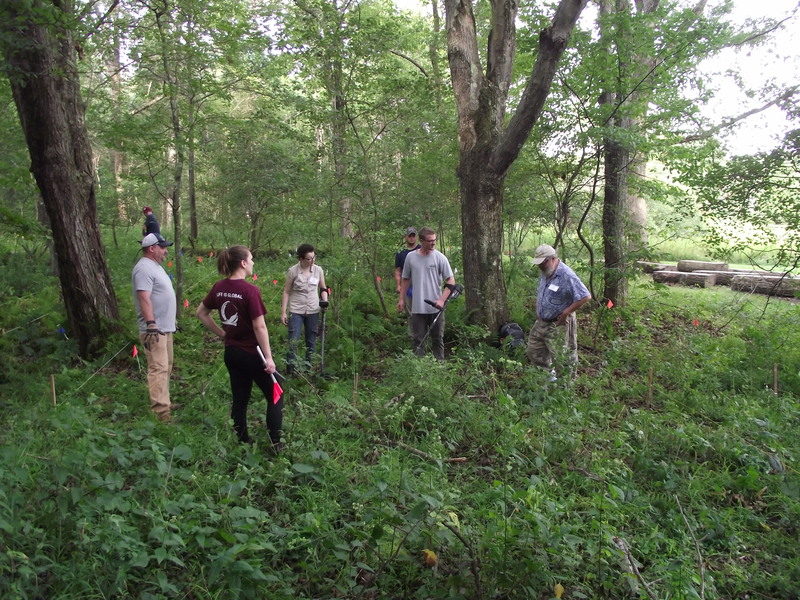 Stay tuned for additional PHAST blog posts next summer as a new field director and crew travel across Pennsylvania and continue to learn about our buried past. The sun setting on another successful PHAST season. 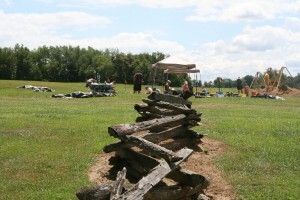 Hanna’s Town is arguably the most important historical site in Westmoreland County. 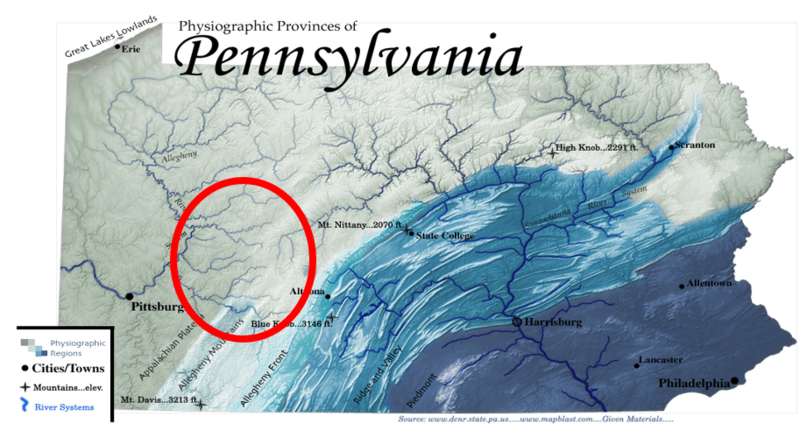 As the first British county seat west of the Allegheny Mountains, a toehold for Anglo American western expansion, and the home of the Hanna’s Town Resolves it played important judicial, economic, social, military, and cultural roles in the formation of western Pennsylvania. Robert Hanna purchased a tract of land along the Forbes Military Road at the head of a branch of Crabtree Creek in 1769. Situated between Fort Pitt and Fort Ligonier, Hanna’s tavern Hanna’s became the county seat when Westmoreland County divided from Bedford County in 1773. Hanna also began selling lots in the town that year and Hanna’s Town quickly took shape. As county seat, Hanna’s Town was the site of the county’s first courts, which were “at least an occasional destination for settlers living throughout the southwestern part of [Pennsylvania]” (Carlisle 2005:1). Due to the necessity of occasionally visiting the court for criminal proceedings or land transactions, as well as the settlement’s position along one of the major overland routes to the Northwest Territory, Hanna’s Town developed into a thriving community with approximately 30 homes, a stockade fort, and multiple taverns. A month after the battles of Lexington and Concord, the inhabitants of Westmoreland County adopted the Hanna’s Town Resolves on May 16, 1775. Signed at Hanna’s Town, this document declared that the citizens were “resolved” to resist the tyranny of Britain. 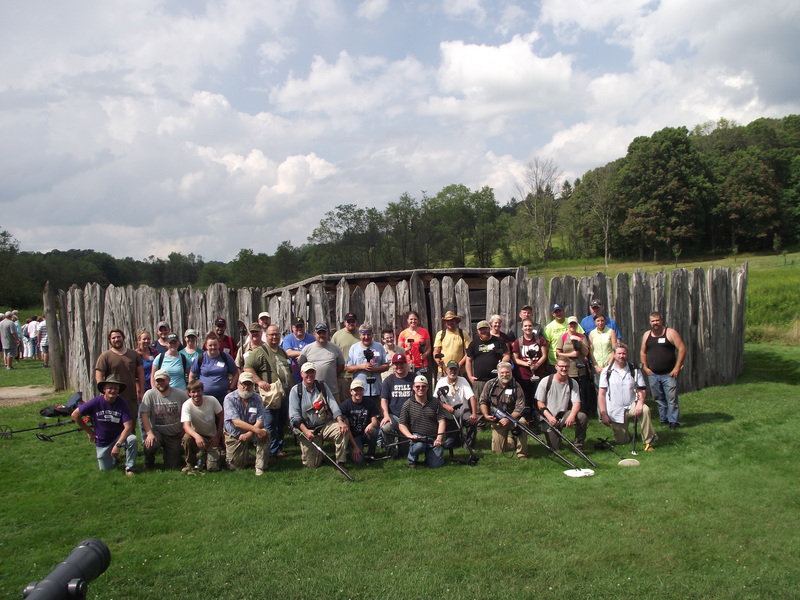 The citizens’ resolve continued throughout the war with local men joining local militias and participating in battles throughout the Northwest Territory. In response to these battles as well as American attacks on Native settlements, Hanna’s Town became the target of one of the final acts of aggression in the American Revolution. On July 13, 1782 a raiding party of Native and British soldiers led by Seneca Chief Sayenqueraght attacked the town, burning its buildings and slaughtering livestock. Hanna’s Town never fully recovered from this attack, and was subsequently abandoned as the state road and county seat shifted to Greensburg. Following its abandonment, the land was farmed until its purchase by Westmoreland County in 1969. 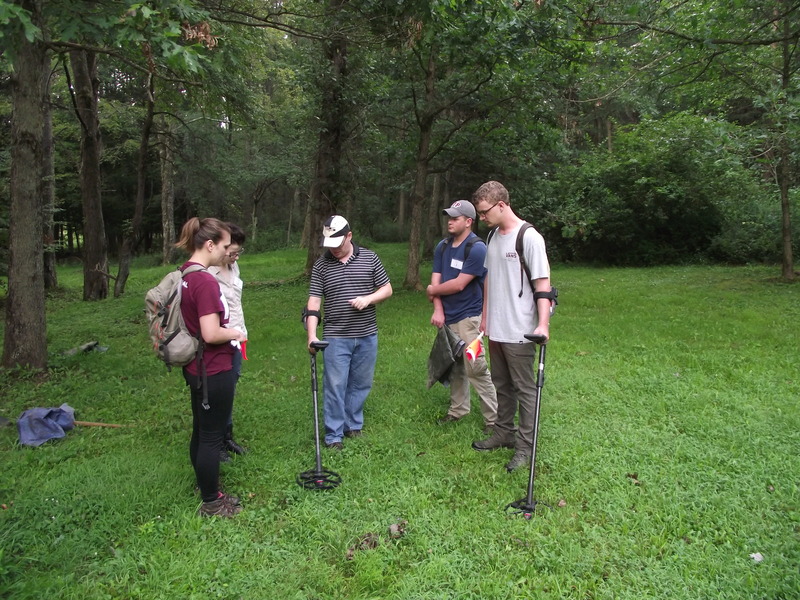 IUP entered into an agreement with WCHS in 2011 to provide IUP students and faculty with access to the Hanna’s Town site and associated artifact collections while providing WCHS with new archaeological interpretations and ways to increase awareness of the site’s significance. This is an ongoing relationship with many facets ranging from the creation of a digital artifact catalog and map to consultation regarding ground-disturbing maintenance at the park, but the most important aspect of IUP’s involvement with Hanna’s Town has been hands-on student education through field schools, class projects, theses, and work experience. Hanna’s Town has also been the subject of seven graduate theses at IUP. These theses cover a range of topics from buttons to geophysics. Two students, Renate Beyer and Stefanie Smith, have completed their theses. Renate reanalyzed the glass and ceramics from the Foreman’s Tavern pits to compare them with a tavern closer to Philadelphia. She found that the Foreman’s were adopting new fashions almost as quickly as their eastern counterparts and that new types of ceramics first appeared in showier pieces such as tea services. Stefanie examined animal bones from the Foreman’s Tavern, Hanna’s Tavern, and Irish House portions of the site to explore variations in diet among the townspeople. 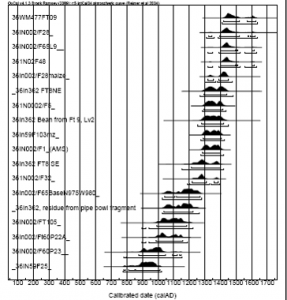 Her results showed that most people were eating a mixture of domestic and wild animals, but that the Irish House inhabitants ate significantly more domestic animals than their neighbors. 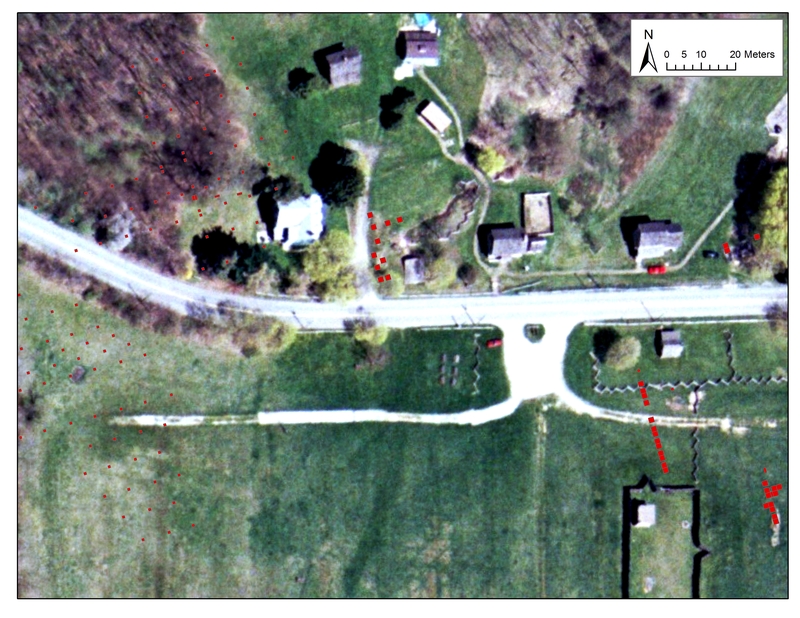 These results suggest that Irish House was inhabited later than the other buildings, an idea supported by the predominance of pearlware, a type of ceramic not introduced to North America until 1780, near this structure. Her research also revealed a substantial number of grey squirrel bones in the Foreman’s Tavern deposits, suggesting that squirrel may have been served in the tavern. 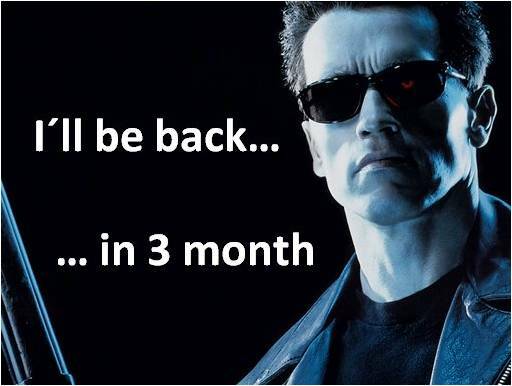 The other theses are still underway but are showing promising results. 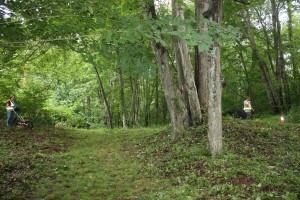 Ashley Taylor has used a variety of geophysical techniques to investigate the Hanna’s Town cemetery. The cemetery is of particular importance because it is the last aboveground physical link with the original town. 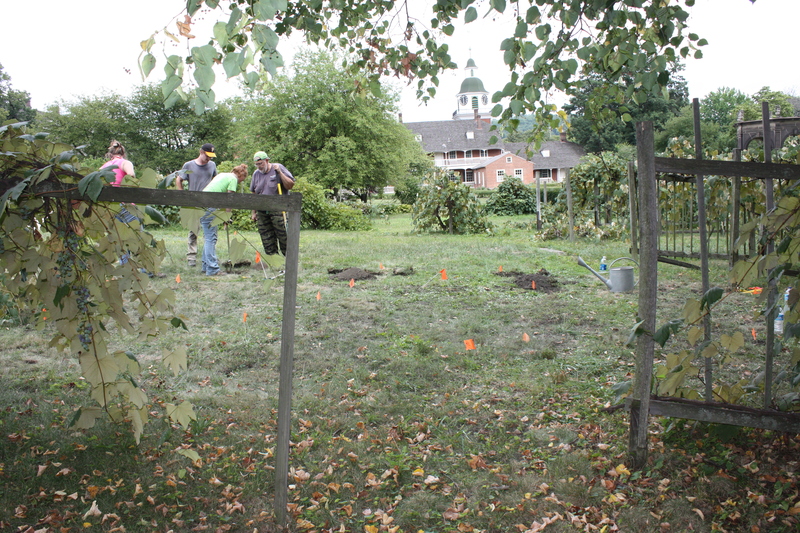 Ashley’s research showed that the cemetery was once larger than the current boundary implies by finding several grave shafts outside of the fence. 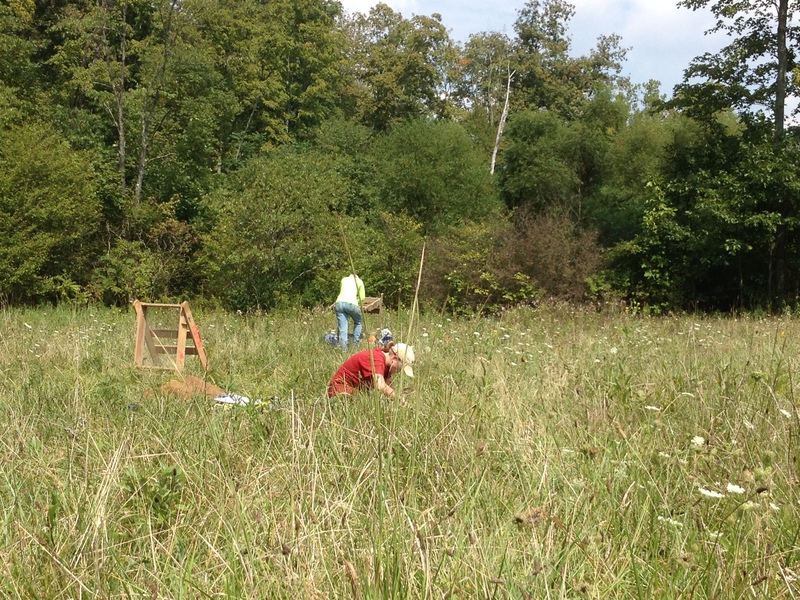 David Breitkreutz is also applying geophysics to give us a better understanding of the site’s layout (Figure 6). Taking advantage of a large ground-penetrating radar recently acquired by IUP, one of only two in the US, he has surveyed much of the area south of Forbes Trail Road. 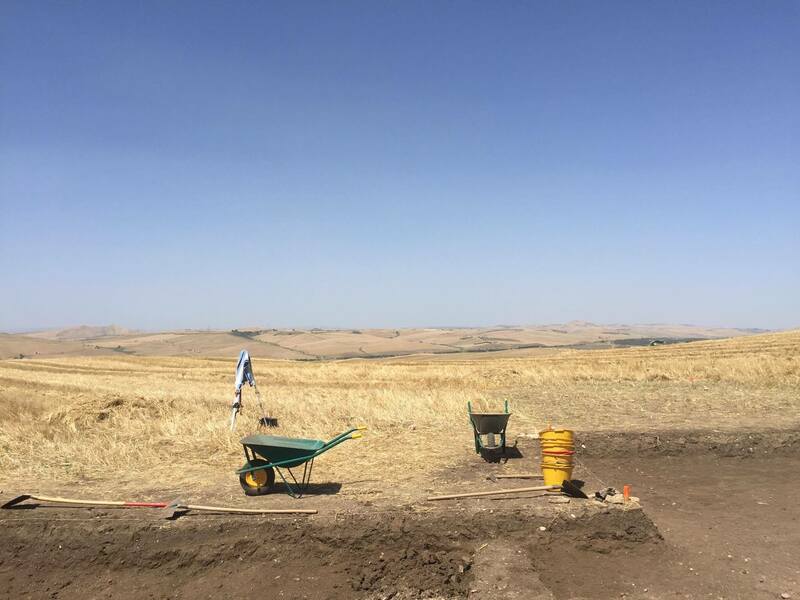 This survey covers areas never before excavated and will be used to guide our 2017 field school excavations. Three other graduate students are focusing on artifacts from the collection. Jay Taylor is analyzing the metal artifacts to better understand what occupations were practiced in the town. Nichole Keener is studying the buttons and other fasteners to reconstruct the clothing of Hanna’s Town residents. 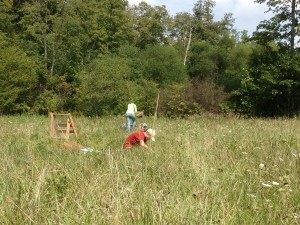 Cheryl Frankum is conducting an elemental analysis of redware from the site. Redware, the Tupperware of the 18th century, is the most common artifact in the collection and also the least studied. Cheryl’s research is a first attempt at understanding this important type of artifact and may shed light on where the pots, jars, bowls, and other pieces were coming from. There are also three undergraduate theses about Hanna’s Town in progress. While undergraduates are not required to complete a thesis doing so gives them an advantage in applying for jobs and graduate school because it shows that they can take a research project from plan to completion. 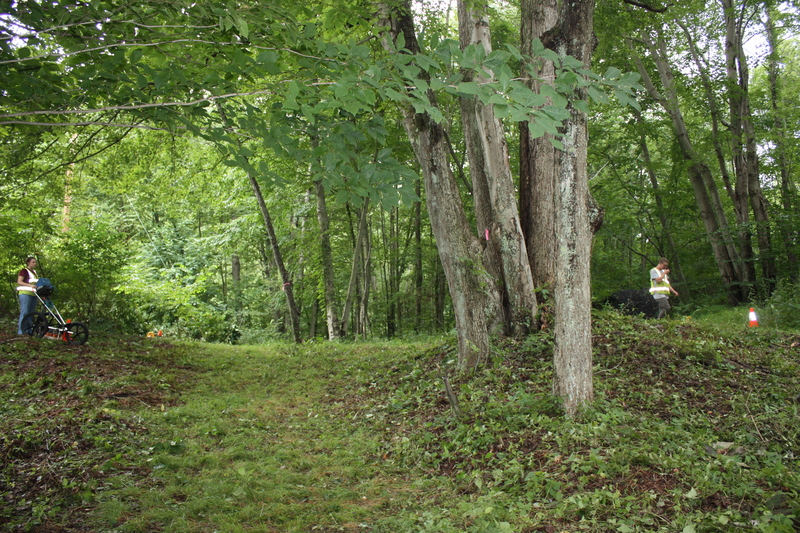 James Miller is studying the distribution of expensive ceramics across the site to determine if there was class variation at Hanna’s Town. Kelsey Schneehagen is looking at Hanna’s Town in a regional context to explore relationships with other settlements in western Pennsylvania. Eden VanTries is studying the people who lived at Hanna’s Town before Hanna (or even his predecessor, Jacob Miers). 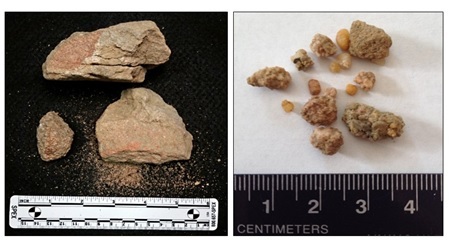 In the course of previous excavations several stone tools have been recovered. Eden is analyzing these artifacts to understand when previous groups lived on the ground that became Hanna’s Town. As these graduate and undergraduate theses are completed copies are filed with the WCHS so that they are available to other researchers. This summer I spent three weeks in Odorheiu Secuiesc, Romania learning how to excavate human skeletal remains. I worked at Valeni (Patakfalva), a medieval church and cemetery site. 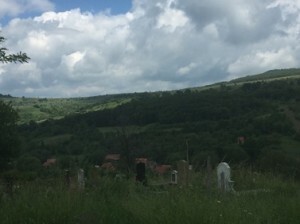 Although the modern cemetery is slowly encroaching the medieval one, the site is still more or less intact. 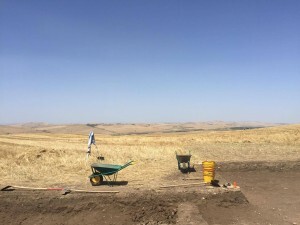 Our job was to excavate the human remains from three different trenches, so that the site directors could learn more about the history of the people who inhabited this part of Romania and see how they are linked to present day populations in the area. I specifically spent the whole three weeks excavating a juvenile. This was very taxing, because of three reasons: 1) because of the sun and incessant heat, I was working with baked out clay, 2) there was so much back fill bone on top that was not associated with the individual, and 3) I had to use wooden picks to do the entire excavation, because of how fragile juvenile bones are and how close the bones were together. After I finished excavating the individual, I learned how to map the bones, which was a very meticulous task. 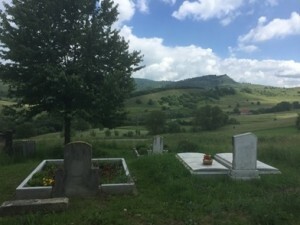 In the end, I had a great time in Romania, I met amazing people from all over the world, and I learned a lot about the culture there and how to excavate human remains. This summer I went to Menorca Spain to attend the Sanisera Archaeology Institute for International Field Schools and took a course on underwater archaeology from June 10-18, 2016. 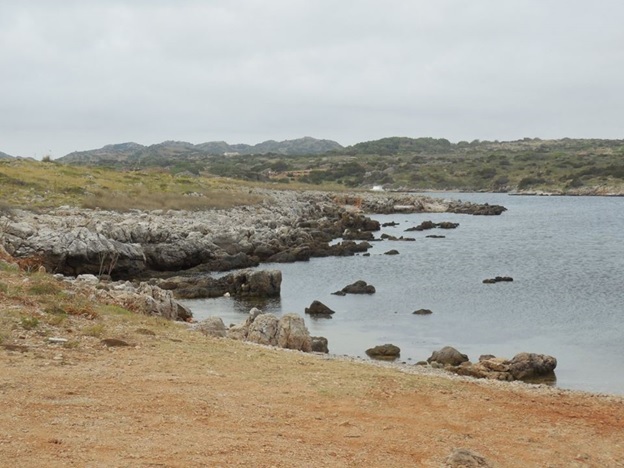 First I will share information on Menorca and the archaeological site where we worked then give an account of my time there. (Note: I was not able to catch/record all the history of the site so there are some gaps). 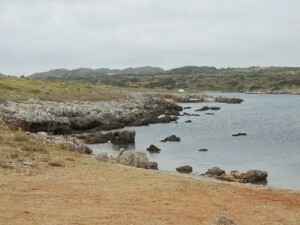 Menorca is one of three islands off the eastern coast of mainland Spain. The other two islands are Mallorca and Ibiza. 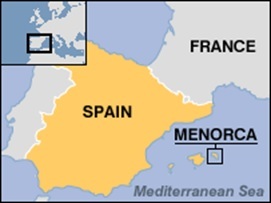 The official languages spoken on Menorca are Spanish and Catalàn. The locals also speak English, however the clarity and quality varies. The Sanisera Archaeology Institute is currently excavating the Roman city of Sanisera located on one of the northern peninsulas, and the underwater archaeology course focused on Port Sanitja. The shipwreck sites dated between the 4th century B.C. 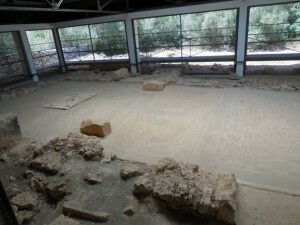 and 4th century A.D., and recovery/projects have been conducted since the 1950s. Each day we would start out by diving for about 40 minutes at 54 feet. After diving we would head back to the field school to have lecture, lunch, and do some identification of Amphoras or ceramic vessels used to transport wine, olive oil, salted fish, etc. on ships, drawing, photography for 3D modeling, and 3D modeling. The first day the underwater group got to tour Port Sanitja, and see and hold some of the artifacts that had been discovered. Throughout the week we learned and applied the Sanisera methodology of underwater archeological survey such as linear and circular survey, documentation, and 3D modeling to name a few. One of the things I will never forget was trying to take photos of artifacts underwater. My dive buddy and I had to take pictures of two Amphoras. The Amphoras were in a hole, surrounded by sea grass, next to a rock wall, and a bunch of fish that would not go away. When taking photos underwater you have to keep the area clear around the artifacts, not stir up the sand, and watch your bouncy. It was not easy. Each day we finished around 2:15pm, and would drive back to the residency were we had “dinner” at 2:45pm, and had the rest of the day to explore or do whatever we wanted to. 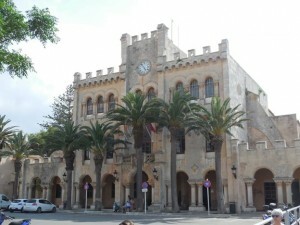 The Town in which we stayed in was Cituadella on the western coast of the island. 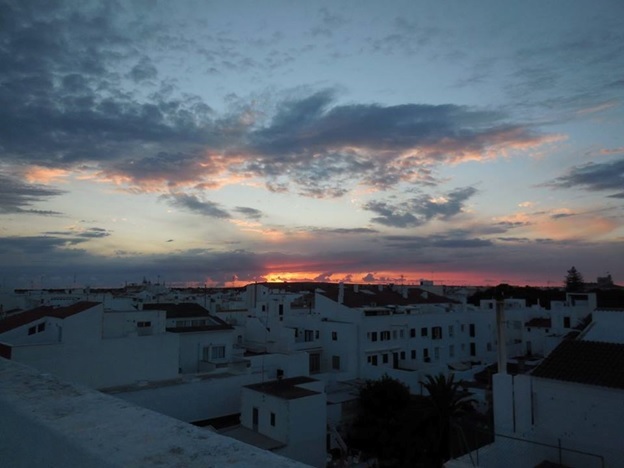 Cituadella is the second largest town on the Island along with the town of Mahon on the eastern coast. 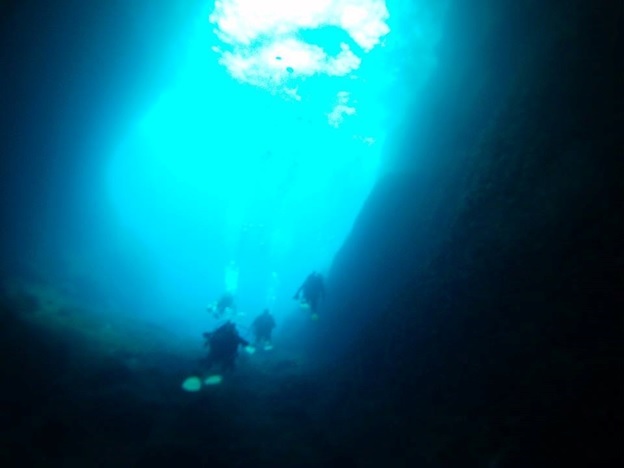 During my time on Menorca I also got to go cave diving, which was amazing. Everyone in the dive group went. We first took a 10-minute boat ride out to a bay surrounded by rock cliffs. Then we dove for about 5 minutes to reach the entrance of the cave, and then dove 150 meters to the end of the cave were we surfaced. Diving into the cave was an experience. It slowly becomes dark and cold and at a couple points everything becomes blurry because of the mix of warm and cold water. Once at the end of the cave we swam on the surface and got to look at the stalactites, which were beautiful. When returned near the entrance we dove back down and swam out. Diving/swimming out of the cave felt like something out of National Geographic. The rock wall surrounding the entrance silhouetted the beautiful blue water that had light shining through it. I almost did not go because I was having some ear trouble, but I am so glad I went. When diving you have to equalize your ears as you descend and ascend. However, as a child I had many ear infections, which has left behind scar tissue and has made my eardrums less flexible. Diving is already hard on the body especially when you dive several days in a row. I was also unable to dive the last couple of course days because of my ears. Overall my experience was amazing and I will never forget it!